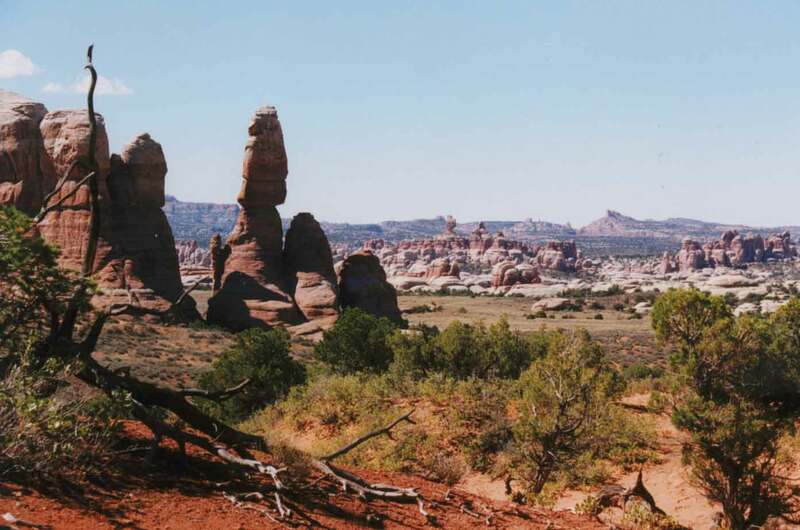 In the summer of 1989 my wife and I took a vacation in the Southwest United States. This trip affected me greatly; the moment we would leave the cities, an inexplicable joy would surge up in me--as if I had returned home after many years of privation. After a few days, I began to notice that the angular, rugged landscapes of Northern Arizona and Utah seemed a perfect reflection of my musical sensibility; I felt I had found the physical nexus for the expressive content of my music. The kinds of motions and forms I had been "composing" in(to) my music were all around me. When we returned home to Rochester, New York, I was filled with new musical ideas and immediately began work on Terrane. I wanted to portray the morphology of the mountains, canyons, bluffs, rivers, desserts in a piece not to capture any feeling of "grandeur" or "immensity" but rather to suggest a strange mix of danger, peace, loneliness, inconvenience, perfection, and focus that Arizona and Utah had amplified in me. The piece is made out of a single, somewhat jagged, through-composed, "melody" of 14 minutes duration. It moves in great arcs over the entire range of the piano, scratched, as it were, into the surface of the original silence that spans the duration of the composition. This basic fissure is further split into tiny tributaries by continuous modulation via repetition and extreme loudness differentiations. The accompanying music extends and complements the actions of the basic line into various sonic environments, some of which are complex enough to absorb the line into musical camouflage. As for form, there is only the meandering of the basic line--a walk, not a tour, through the musical landscape. In the desert I am reminded of... the bleak, thin-textured work of men like Berg, Schoenberg, Ernst Krenek, Webern and the American, Elliott Carter. Quite by accident, no doubt, although both Schoenberg and Krenek lived part of their lives in the Southwest, their music comes closer than any other I know to representing the apartness, the otherness, the strangeness of the desert. Like certain aspects of this music, the desert is also a- tonal, cruel, clear, inhuman, neither romantic nor classical, mo- tionless and emotionless, at one and the same time--another para- dox--both agonized and deeply still.